Cute “Birthday” Cake or Theme Cake idea from WILTON. I just love the fish on top of the cake! Ideas for decorating the cake can be endless. I came up with some “Starfish” style swirls on the sides of the cake for a slight change, rather than just dots. 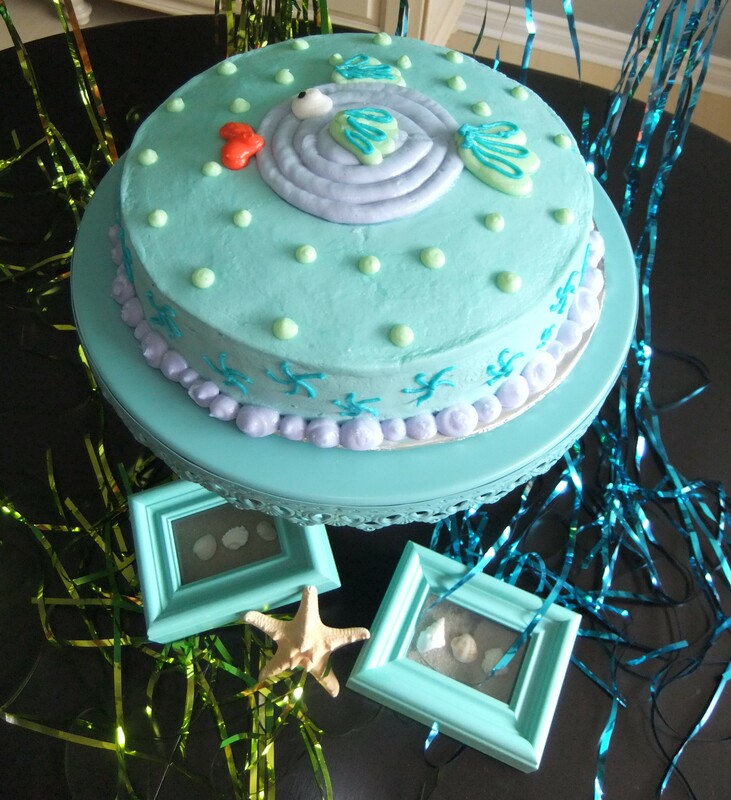 An under the sea theme party would make a great child’s birthday. 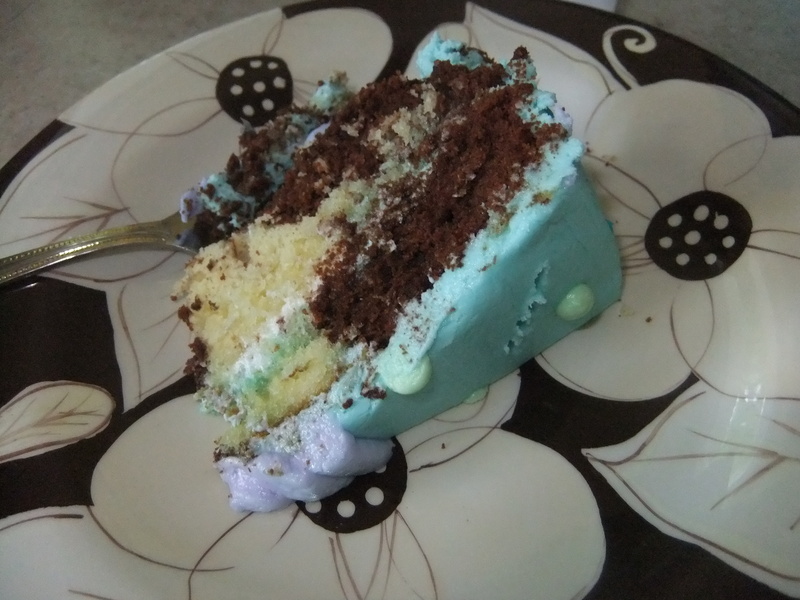 Cake is a vanilla and chocolate marble. I will post a picture of a slice when I am ready to cut it! I can’t wait. Moist Vanilla Marble Swirl Cake with a Vanilla Frosting.